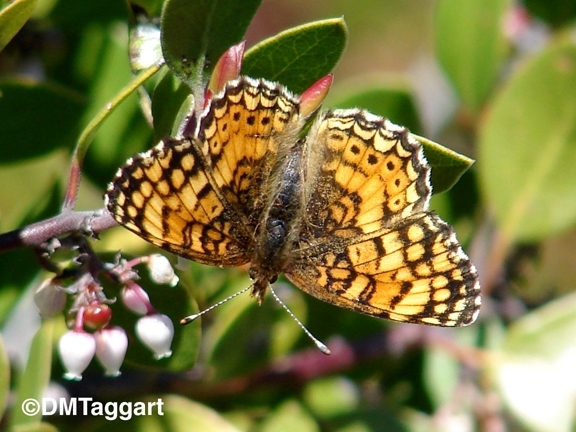 Identification: Upperside is bright reddish orange with narrow dark markings. 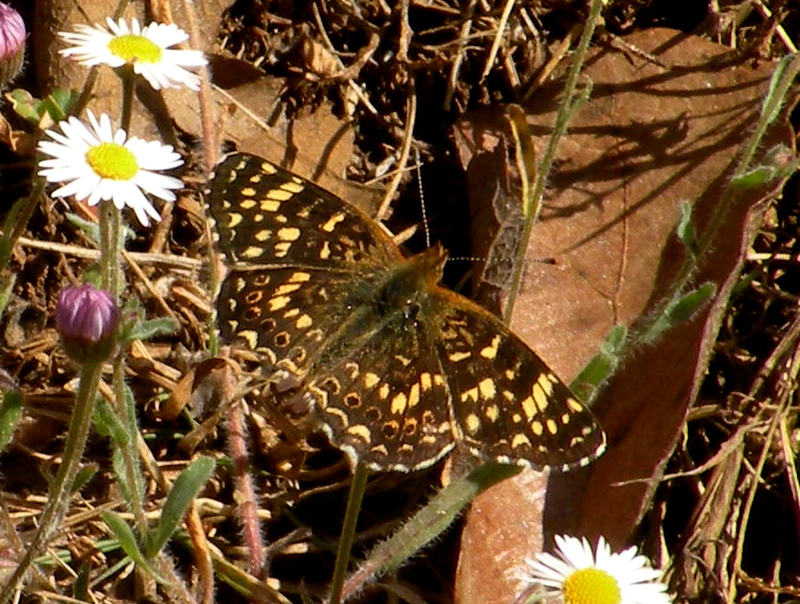 Lacks the prominent black inner marginal spot of Phyciodes pallidus. 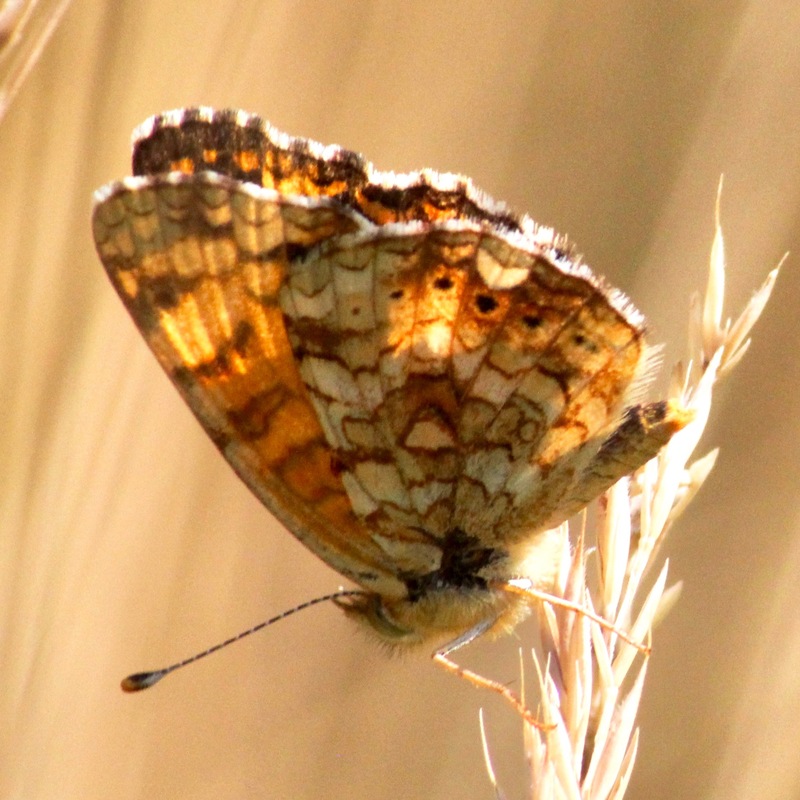 Underside is yellow-orange with somewhat blurry rusty orange markings. Wing Span: 1 1/8 - 1 1/2 inches (3 - 3.8 cm). 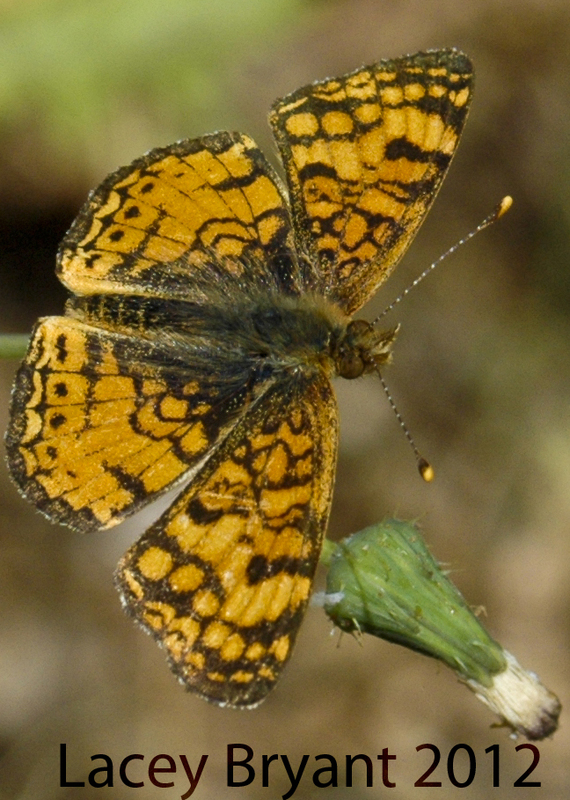 Life History: Males perch or patrol all day near host plants for females. Eggs are deposited on underside of host plant leaves; caterpillars eat leaves. 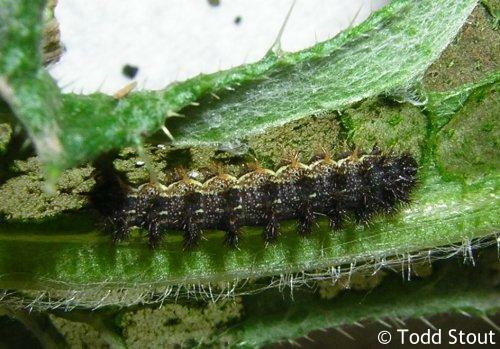 Young caterpillars may live in a small silken nest; partially-grown caterpillars hibernate. Flight: Two broods in the north from April-September, several in the south from February-November. Caterpillar Hosts: Native thistles (Cirsium), milk thistle (Silybum marianum), and European thistles (Carduus). 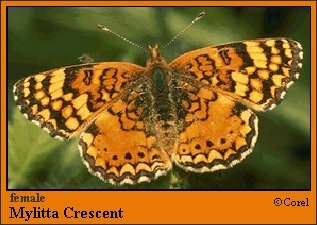 Habitat: From sea level to 8000 feet in mountains, fields, meadows, roads, vacant lots, parks, and fencerows. Range: Southern British Columbia southeast through the Rocky Mountain region to Mexico; south to Washington, Oregon, and California.